The Jupiter 1110RS intermediate Bb trumpet with rose-brass bell, standard leadpipe and impeccable intonation comes with features that are often usually found on professional-level instruments. It is well suited for the player wanting balanced tone quality without sacrificing power and clarity. The Jupiter JTR700 standard Bb Trumpet has a lacquered brass body with stainless steel pistons. This free blowing, well-balanced instrument is designed to be comfortable for the younger player and beginner while at the same time having a full sound with good intonation and easy response. 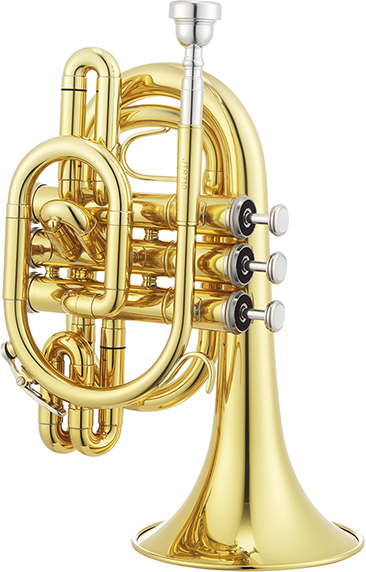 The Jupiter JTR700R standard Bb Trumpet features stainless steel pistions, first and third valve slides, a .460" bore, 4.8" rose brass bell and a rose brass leadpipe. 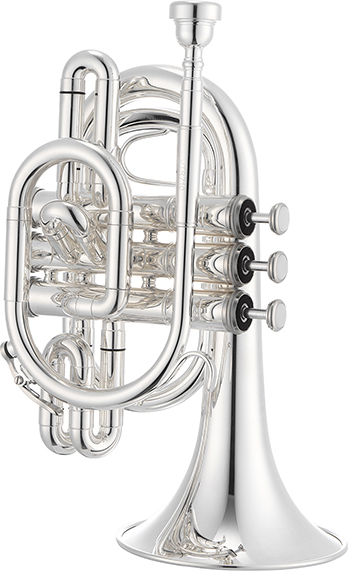 The Jupiter JTR700RS standard Bb Trumpet features stainless steel pistions, first and third valve slides, a .460" bore, 4.8" rose brass bell and a rose brass leadpipe. The Jupiter JTR700S standard Bb Trumpet has a silver-plated brass body with stainless steel pistons. This free blowing, well-balanced instrument is designed to be comfortable for the younger player and beginner while at the same time having a full sound with good intonation and easy response. The JTR710 pocket trumpet is gold lacquered with a standard size bell and redesigned 3rd loop. You'll be able to produce just as powerful a sound while only having to carry around a trumpet a fraction of the size. The JTR710S pocket trumpet is gold lacquered with a standard size bell and redesigned 3rd loop. You'll be able to produce just as powerful a sound while only having to carry around a trumpet a fraction of the size.